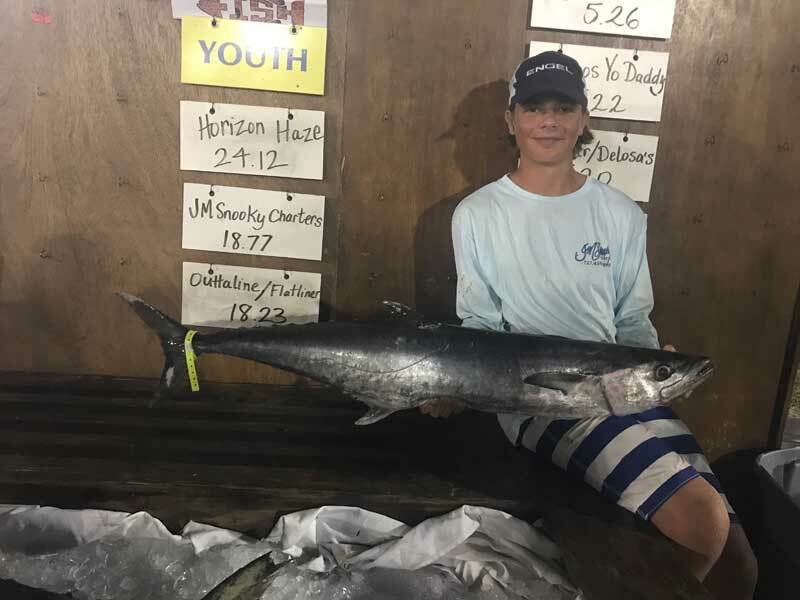 Lucas Engel, 14, shows off a nice blackfin tuna and a prize 18.77-pound king mackerel Nov. 10, earning him second place in the youth division in the 25th annual Fall King of the Beach tournament held Nov. 8-10 out of Madeira Beach. Engel fished in the tourney with Capt. Jason Stock of J.M. Snooky Charters. 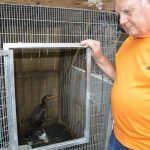 Engel helps mate on some of Stock’s charters and he follows a chart set by his father, Allan, who has been a fishing captain locally for 25 years. Fishing north of Anna Maria Island proves to be excellent despite the patches of red tide persisting to the south. 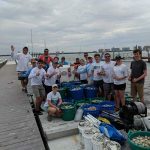 Let’s keep our fingers crossed that it doesn’t infiltrate Tampa Bay — the sanctuary for inshore fish, such as snook, redfish and trout. While fishing Tampa Bay, I’m seeing my clients reel numerous catch-and-release snook to my boat. On some mornings, catches of 30-40 fish are keeping us busy. That’s what sport fishing is all about. Mixed in with the snook are catch-and-release redfish, although they are sparse. Moving to deeper grass areas is yielding plenty of spotted seatrout, although most are just under the minimum size limit of 15 inches. Fishing structure in Tampa Bay is producing action — especially on mangrove snapper and gag grouper. 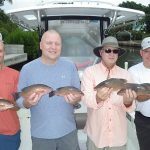 Bottom fishing with live shiners is producing the snapper, while using live pinfish is best for attracting the grouper. Capt. Warren Girle is fishing the inshore waters of Tampa Bay to avoid red tide that popped up again to the south. Catch-and-and release snook fishing is going strong for Girle, too. He reports some catches reaching as many as 40 snook in a morning trip. While targeting snook, catch-and-release redfish are mixed in as well, which adds some variety to the bite. Spotted seatrout, bluefish and ladyfish are being caught while fishing deeper grass flats. Mangrove snapper are being caught in the same areas. Lastly, fishing structure in Tampa Bay is yielding gag grouper and mangrove snapper. Capt. Aaron Lowman also is putting clients on good concentrations of catch-and-release snook while fishing the flats of southern Tampa Bay. Mangrove edges, oyster bars and lush turtle grass are a great recipe to find linesiders in numbers and Lowman has them dialed in. Free-lining shiners in areas such as these is producing good rallies of 20-30 snook a day. Fishing structure — residential docks, seawalls and oyster bars — is producing action for Lowman’s anglers, especially for catch-and-release redfish and some mangrove snapper for the cooler. On a final note, moving to deeper grass flats is yielding spotted seatrout and ladyfish for Lowman’s clients. Capt. 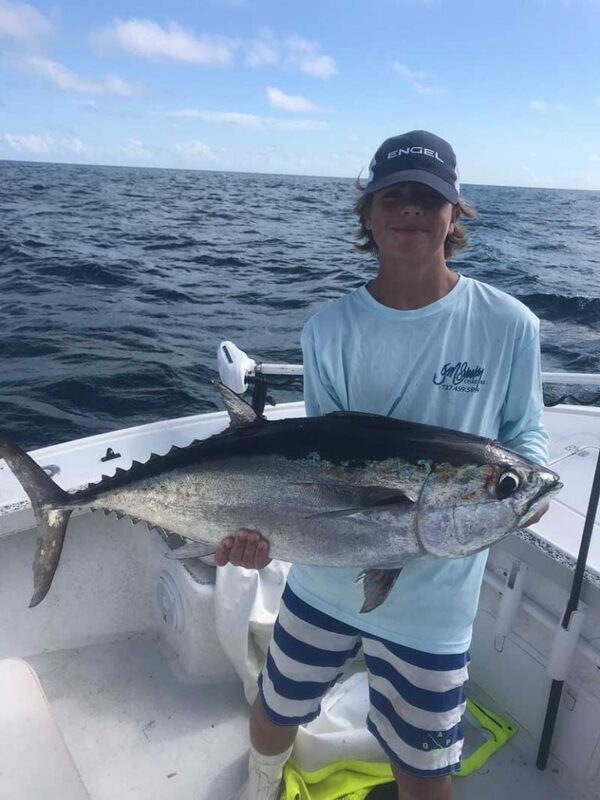 David White of Anna Maria Charters is working inshore with good results. Free-lining live shiners over shallow grass flats is proving to be good for catch-and-release snook. White reports that on some mornings, he’s seeing up to 100 snook being reeled to the boat. Mixed in with the catch-and-release snook for White are redfish, jack crevalle, flounder and mangrove snapper. 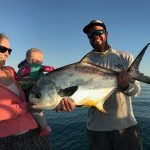 Moving offshore, White is targeting migratory species — blackfin tuna and amberjack — and he’s finding red grouper are being caught while working areas over hard bottom. Jim Malfese at the Rod & Reel Pier is enthusiastic to report fishing is quite good at the pier. Numerous sheepshead are being caught — some exceeding 16 inches. Live shrimp are working as bait for these tasty fish. Catch-and-release snook and redfish are being caught on either shrimp or pinfish as bait, while Black drum and flounder are taking the pier angler’s offerings of live shrimp. For those casting spoons or jigs, an occasional mackerel is being reeled to the deck, as well as some jacks and ladyfish. Capt. Rick Gross of Fishy Business Charters is finding some gator trout while fishing the flats of Terra Ceia Bay. Employing a Cajun Thunder cork, Gross is casting small shiners over shallow grass flats to attract the large trout. Spotted seatrout up to 24 inches are being taken in this fashion. Catch-and-release snook and redfish are being caught in the same areas as the trout. Moving deeper, Gross is finding mackerel, bluefish and flounder around the edges of deep grass flats and structure. Some of the flounder are up to 20 inches. Capt. Jason Stock is targeting catch-and-release snook while the bite remains consistent. Snook rallies in the neighborhood of 50-60 fish in a four-hour charter is common. This produces great action for both sport anglers, and what’s even better? There is no impact on the fishery as these linesiders are catch-and-release only. When not targeting snook, Stock is on patrol for inshore gag grouper — both shorties and keeper-size. On the short fish, Stock is tagging and releasing them to be caught another day.